« Video of the Day: No More Shark Blood! 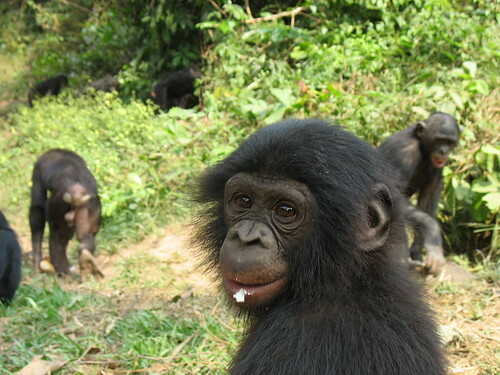 The range of the bonobos is embodied in the last stronghold of the Congo rainforest, a prime target for loggers. Although the government has tried to stop the decimation of the rainforest, illegal activities persist. Bonobos are one of the most fascinating species that exist because of their uncanny similarities to that of man, sharing 98% of the same genetic make-up. The Bonobo Conservation Initiative (BCI) is a small, innovative non-profit organization that is the only one dedicated solely to the conservation of these apes. Their observation and respect of the animals has carried over into their efforts in saving these animals. 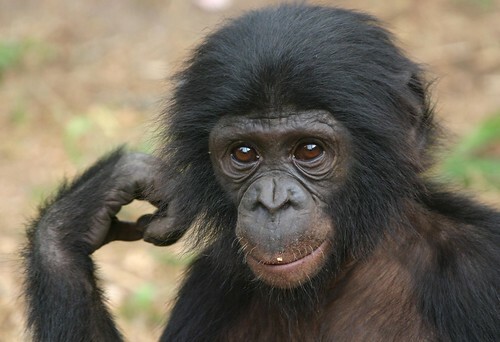 Bonobos are known to be a peaceful species and BCI adopts this quality into their practices through educating the public, establishing protective areas, and capacity building for Congolese partners and indigenous communities. 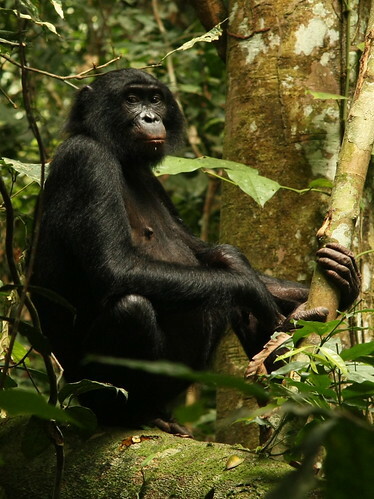 They have also launched a project known as the Bonobo Peace Forest Project (the Kokolopori Bonobo Reserve), which has gained legal recognition as a nature reserve. The reserve encompasses 1,847 square miles and is home to over 1,000 bonobos, creating a safe habitat for this species to flourish in. With all of their attention on these primates, BCI has found a deep-rooted respect for these creatures and hopes to increase global awareness, believing that everyone can help make a difference. This entry was posted on June 14, 2011 at 1:52 am and is filed under Organization of The Day with tags Africa, animal blog, animal blogs, Animal Rights, Animal Trafficking, Animals, animals blog, Anti Poaching, apes, Biodiversity., Bonobo Conservation Initiative, Bonobo Peace Forest Project, bonobos, bushmeat, Community, Congo, Conservation, Democratic Republic of Congo, DRC, Education, Endangered Species, Environment, Extinction, habitat loss, illegal, Illegal Animal Trade, illegal hunting, illegal pet trade, Illegal Wildlife Trade, Kokolopori Bonobo Reserve, Nature, poaching, Primates, stop poaching, wildlife, wildlife blog, wildlife blogs, wildlife conservation, wildlife conservation blog. You can follow any responses to this entry through the RSS 2.0 feed. You can leave a response, or trackback from your own site.